Hands Corporation, a local aluminum wheel manufacturer, will complete construction of a factory in Morocco by 2024 with aims to expand its presence in Europe, the company said Monday. The company had announced construction of the Morocco factory in August last year and the groundbreaking ceremony was held in April. “By cooperating with the Moroccan government, we will do our best to become an example of successful expansion there. Also our goal is to post 1 trillion won ($895 million) in earnings by 2022 backed by the new plant,” the company said. By completing the first round of construction there in 2019, the wheel maker will be able to produce an additional 4 million wheels annually, and 8 million once the factory is finished in 2024. In doing so, the company would have the capacity to produce 21.5 million wheels, 11.5 million here and 10 million abroad, it said. “Hands Corporation supplies about 50 percent of total sales to overseas partners. 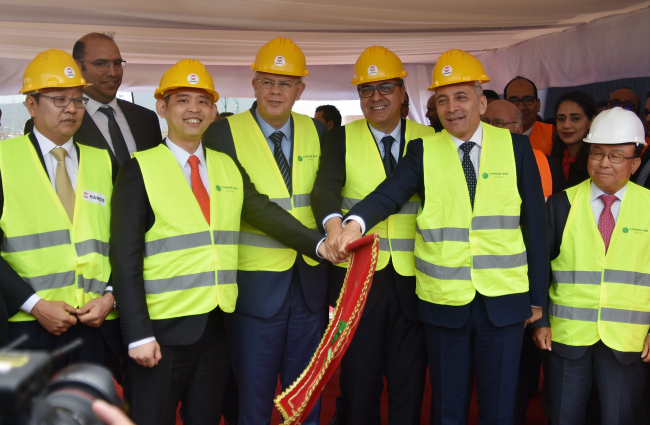 To cater to clients’ needs and expedite expansion in Europe and North America, the Tanger Automotive City in northern Morocco was chosen as the location for the new facility,” the company said. Automakers Renault and PSA run factories at Tanger Automotive City, along with auto parts suppliers Delphi and Valeo, on various incentives provided by the Moroccan government to attract foreign direct investment. Morocco also has sealed free trade agreements with 55 countries, including the US, EU and United Arab Emirates. Established in 1972, Hands Corporation has signed deals with local auto giant Hyundai Motor and Kia Motors as well as Volkswagen, Ford, Fiat Chrysler Automobiles and General Motors. Earlier this month, the company’s subsidiary Hands6 inked an agreement with Volkswagen to supply aluminum wheels worth 25.8 billion won over the next four years, according to a repository of Korea’s corporate filings. The company has been in a partnership with Volkswagen since 2014, and the latest deal marks its first to supply to Volkswagen’s factory in North America.